MOORHEAD, Minn. – The Gustavus men’s hockey team Saturday lost 1-0 at Concordia, dropping to 7-15-1 overall and 4-9-1 in the MIAC. The Cobbers scored the game’s lone goal at the 17:52 mark of the first period on a power play. Despite outshooting Concordia 35-22, the Gusties were unable to find the back of the net in its sixth shutout of the season. Robbie Goor (So., Anoka, Minn.) made 21 saves in the loss. 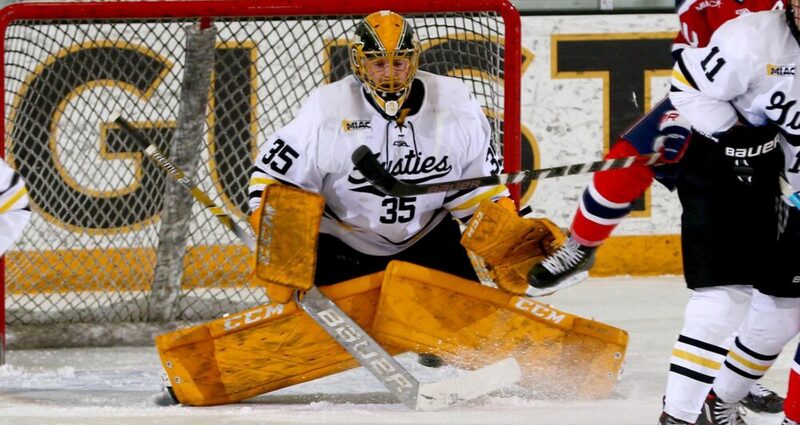 Gustavus finishes the season next week with a series against Saint John’s. Thursday night’s game in St. Cloud begins at 7 p.m.